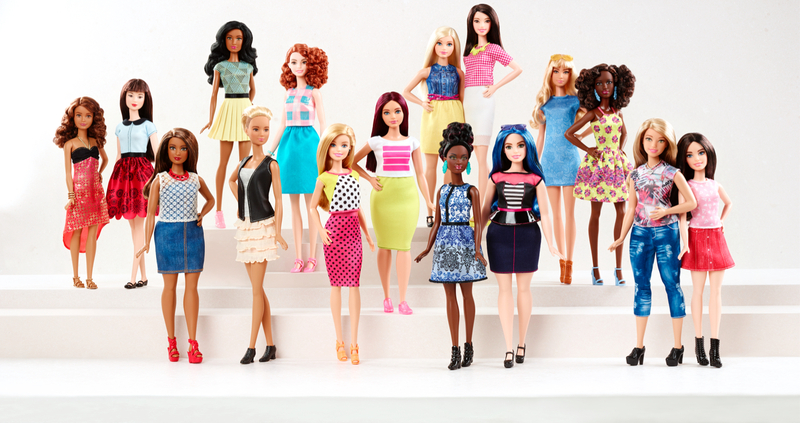 El Segundo, CA -- January 28, 2016 – Today, Barbie is announcing the expansion of its Fashionistas® line with the addition of three new body types – tall, curvy and petite – and a variety of skin tones, hair styles and outfits. With these additions, girls everywhere will have infinitely more ways to play out their stories and spark their imaginations through Barbie. “We believe we have a responsibility to girls and parents to reflect a broader view of beauty,” added Mazzocco.